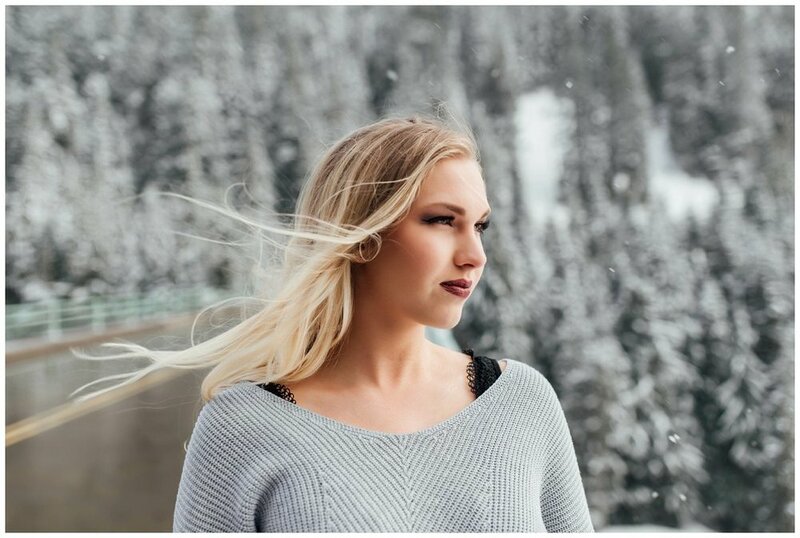 Kelsey's model shoot at Mount Rainier was the first of four that I was to have all in April. I was so appreciative that she was so "go with the flow" about all of the locations we chose because it gave the perfect opportunity to do as much scoping as possible for the upcoming shoots. Despite some CRAZY weather, I absolutely love how this session went and came out of it with some new favorite images. When Kelsey showed up to my house in her Britt Key Team shirt, I knew we were in for a good day. The first few photos, Kelsey showed off her shirt and braved sitting through some serious freezing wind to do so. The wind during our visit to Mount Rainier was definitely something else. It whipped our hair, stung our eyes, took our breath away and cut through our shirts. While it was a bit much to deal with, the movement and mood it created is to die for. Kelsey could absolutely be a model with her can do attitude and comfort in front of the camera. Looking like a genuine snow queen- I think she could give Elsa a run for her money! 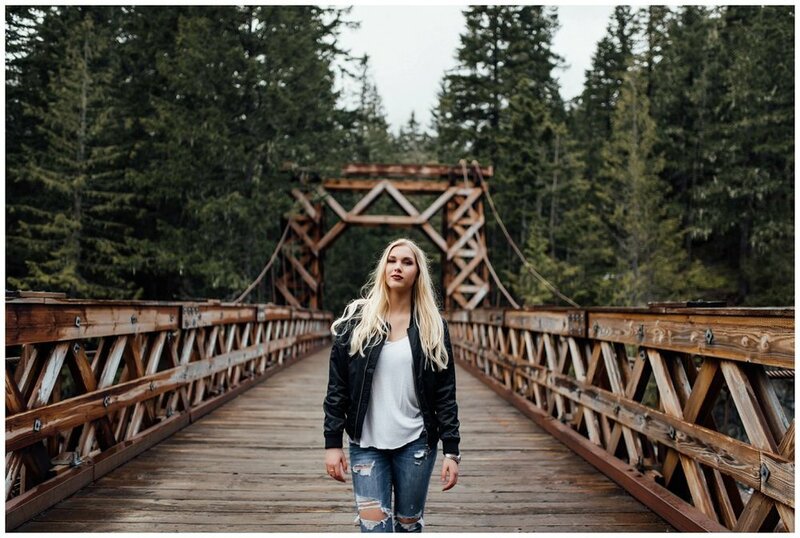 Kelsey's bomber jacket and simple white tee was a perfect look for the suspension bridge. I think it's easy sometimes to want to over dress for photos, but at times a t-shirt and jeans can be flattering and true to character. Dressing it up with booties or casual jewelry is perfect for the camera. Our shoot took place all over the mountain and we stuck through snow, wind, whiteout, rain, overcast, sun... proof that mountain weather can be quite unpredictable. On our way home we also stopped for photos of a herd of elk, and to play around Elbe for a bit. Scroll down to see our shoot!